Teak engineered flooring is beautiful to look at and smart to have in your home or office. It’s a smart choice because it’s durable and resists moisture and temperature changes. Teak is a tropical wood so can be environmentally “wrong” to use, but teak engineered flooring can be made of small pieces, meaning a tree makes more flooring — an environmentally friendly approach. The beauty and variety in teak engineered flooring may be exactly what you need to help make that room in your home more welcoming and inviting. The wide range of hues that can be found, as well as detail, is what draws many people to teak. Their first look at this beautiful wood may be outside of their home, simply because teak is a very popular material for items such as outdoor furniture, flooring, and more. Why should you consider teak engineered flooring for your home? Teak is very popular in newer, luxury homes, but for most of us, buying teak hardwood flooring is completely out of our budget. That is why teak engineered flooring is so tempting, simply because you get the same look at a much cheaper price. The top layer of your teak engineered flooring is made of teak hardwood, but the rest of the flooring uses durable, inexpensive varieties of wood, which brings the cost down significantly. This makes it a valid and budget-friendly choice for all homes, no matter what the income level. And it makes it a bit more environmentally sensitive. Another benefit of teak engineered flooring is that it can be installed in almost any area of your home. In some cases, hardwood flooring cannot be installed in places that moisture may be found, but the combination of the engineered construction and the teak makes this flooring excellent for these areas. Teak is known for its moisture- and changing temperature-resistance, which makes it an excellent choice for flooring inside the home as well, whether you choose the hardwood or the engineered version. The colors of teak engineered flooring will fill your aesthetic needs, too. From dark browns to light yellowish-tans, you can find many different colors in teak flooring. The straight grain of this flooring appeals to many homeowners, but the uneven texture helps to give it added detail and visual interest. This makes it ideal for use with many different decorating styles and in many different rooms. Teak engineered flooring can offer you the deep beauty of the teak with the durability of a strong engineered flooring. Using it in your home can increase the value of your home and the welcoming feeling in your home. 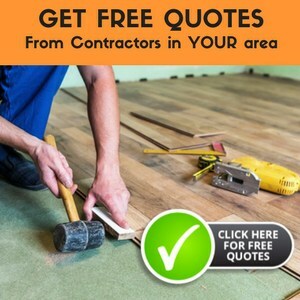 This is a huge benefit to any type of wood flooring, simply because more homeowners want wood flooring over carpeting and other flooring choices in the home that they purchase, no matter if it is a new construction or older home. The benefits of teak engineered flooring coupled with the functionality can help create a flooring choice that you will be proud of and satisfied with for many years to come. The choice that you make for your floors can make a big impact upon the entire look and feel of your home. By making your choice carefully, you will ensure that you have a floor that will last and look beautiful for many years to come.